In this desert world, Azetaria we have the Stormer Unit, a team that goes out on various missions. 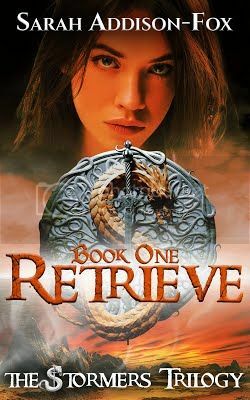 Kade is a Stormer and is determined to do whatever it takes to keep his sister Meg safe. We also have Hadley who lost her brother and is all alone and can barely get by. She disguises herself as a boy and is hanging out the Stormer camp just trying to get some food until she is paired up with Kade to go on a mission. Kade has issues with newbies and is not impressed to be going on such a dangerous mission with Hayden. Hayden has a fear of men, which I wish was further explained, but she is willing to do whatever it takes to get the job done. Although they start out at each other’s throats they do start to care for each other. I really enjoyed this story. The world is well written and draws you right into both Kade and Hayden’s struggles. Kade is a strong fighter and I just loved following along in the various fight scenes that we find him in. Hayden is just trying to find her brother and survive. Although she has some issues and is really scared most of the time she still steps up and does what needs to be done. Of course the book ends with one heck of a cliff hanger which just means that I will be getting the next book in the series ASAP. This is a great story and one that I recommend checking this book out. 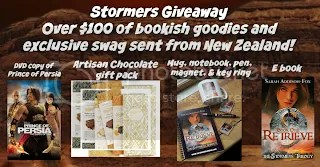 Enter for your chance to win a selection of Stormers swag, an artisan chocolate gift pack from New Zealand and a DVD copy of the movie that inspired The Stormers Trilogy, The Prince of Persia. All sent from New Zealand with a personal note to the winner. 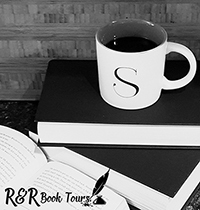 I would like to thank Reading Addiction Virtual Book Tours and PR for the opportunity to read and share this book.